The girl just *knows* film. The Academy Awards are coming up this weekend, and while we’re psyched at the prospect of playing fly on the wall to the Hollywood elite from the comfort of our own homes (and sweatpants. and bowls of ice cream), there’s really only one movie critic whose opinion we care about. Her name is Gracie Jane and she was honestly pretty ‘meh’ about The Shape of Water. 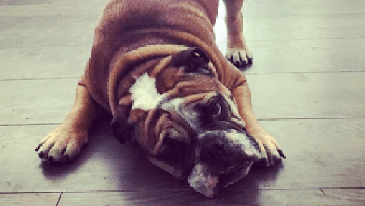 This year, Grace has actually turned her full bulldog attention to documentaries — you might remember this from her 2018 resolutions — and since she’s typically not welcome at the movie theater (how rude! ), she’s burned her way through all of the standard streaming services in search of the ultimate movie. The good news is that she didn’t have to look too far to find a new favorite, and she’s coming to you now with her must-watch recommendation. Go for it, Grace. I’ve been trying to watch more sunrises in 2018. Mom says it’s great to appreciate the natural beauty here in Colorado (and have you heard that we just opened an awesome new studio in Boulder? ), and even though I do my best not to listen to her, every once in a while I can’t help but stare at how pretty it is out there. But when I’m not watching the sun rise, I’m usually watching Netflix, because as I said in my resolutions post (#accountability), I’m trying to step up my game and watch higher-quality TV. I’m happy to share that there was one major standout movie that’s practically binge-worthy on its own (like, on repeat)… and I really think everyone should watch it ASAP. Mcconkey, people. 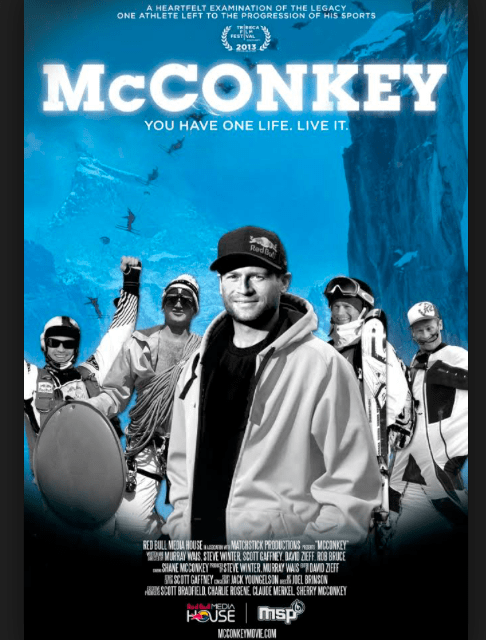 You’ve gotta see Mcconkey. McConkey tells the true story of a seriously badass freestyle skier named Shane McConkey — and I promise I’m not just selling out and recommending this because I’m a Colorado girl now or because I’ve been really obsessed with the Winter Olympics lately. Shane was a trick skier, so you already know he must have been a pretty cool guy IRL, but his coolness was way bigger than his sport. What I really dig in the movie is his attitude. Unfortunately, Shane dies while BASE jumping (and I’m not spoiling, because the director lays it all out there in his statement about the movie), but his sad death is kind of a testament to the way he lived his life. This guy was seriously passionate, and he pursued the things he loved to do even if other people didn’t quite get it. In fact, he was smart enough to surround himself with people who did understand, like his wife, who supported him in all of the risks he took simply because that YOLO attitude was what made him who he was. 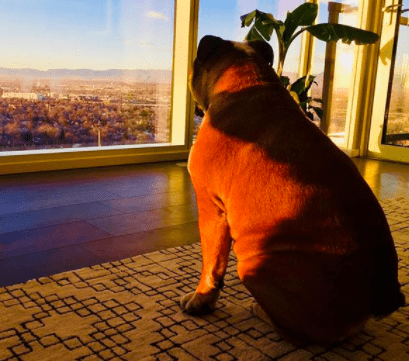 It’s a good reminder that we all need to keep company with a pack of people — or dogs, for some of us — who will see and celebrate us for who we really are, even if we’re a little “crazy” or over-the-top or smelly (sometimes, some of us are smelly). This was a seriously great movie — in addition to being my personal favorite of the year, it was an official selection at the 2013 Tribeca Film Festival — but I also couldn’t help but picture Shane McConkey as part of our bulldog community. He really understood what #bulldogstrength is all about: meaningful risks, showing up for loved ones, confidence, positivity, all-out passion, and a total refusal to do anything halfway. Seriously, friends, I’m going to need you to check out this movie. You can find it on Amazon Video, iTunes, Google Play, and YouTube. What did you think of McConkey? Tell us on Facebook + Twitter!